North American beavers are herbivores and feed on leaves, bark, twigs, and other plants found in their surroundings. Beavers are semi-aquatic, meaning they can live in both water and on land, and are adaptive to most environments throughout North America. Although they are social animals, they can be aggressive, especially when food and space becomes limited. They mark their territories by secreting oils from their castor glands. 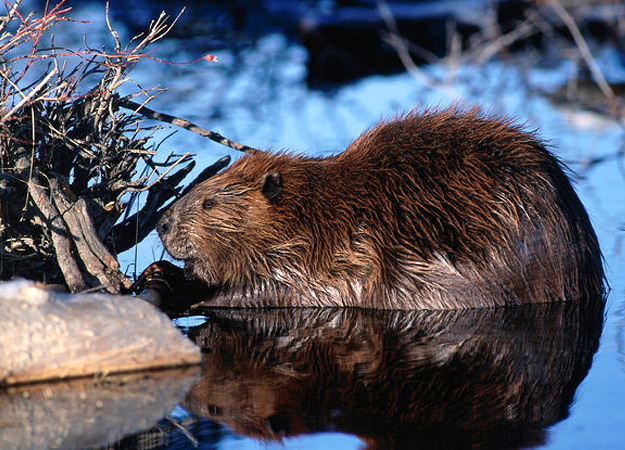 The beaver is North America's largest rodent and normally weigh around 20 kg (44 lbs). Some of the larger beavers, though, can weigh up to 50 kg (110 lbs). Their size and weight varies drastically depending on their habitat and diet.